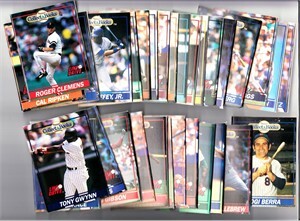 Partial set of 1991 Line Drive Collect A Books baseball card size booklets. 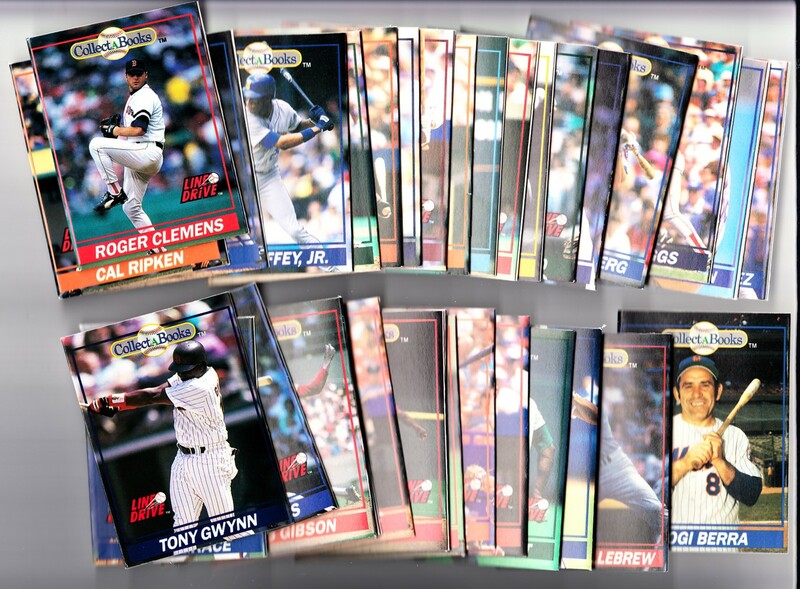 Includes 23 of the 36 players: Roger Clemens, Cal Ripken, Nolan Ryan, Ken Griffey Jr., Bob Welch, Kirby Puckett, Lenny Dykstra, Ralph Kiner, Wade Boggs, Dwight Gooden, Mark Grace, Kevin Maas, Thurman Munson, Rickey Henderson, Barry Bonds, Jose Rijo, Matt Williams, Barry Larkin, Dave Stewart, Dave Justice, Harmon Killebrew, Yogi Berra and Billy Williams. ONLY ONE PARTIAL SET AVAILABLE FOR SALE.